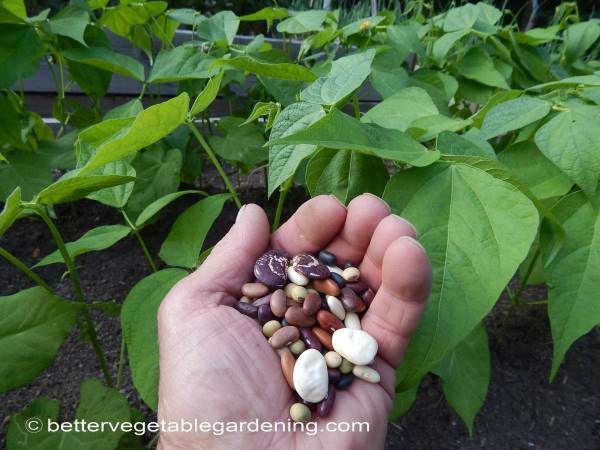 The common bean is one of the most versatile and widely grown vegetables in the home garden, classified as herbaceous annual plants the produce from this plant can be consumed at three different stages of development. First as green beans, the term green bean refers to the bean being eaten in its green, unripe stage, rather than the color of the bean. The second is as green shelled beans, being harvested when the beans in the pods are plump and still soft, before the pods begin to turn brown and dry. Finally the third stage is as dried beans which are harvested when the bean and pods are completely dry, beans harvested as dried beans are cooked before consumption. Similar to tomatoes, beans have two different growing habits. Climbing and Pole Beans - These are the indeterminate type: varieties of this type develop into vines and will continue to grow until killed by frost or unfavorable growing conditions. 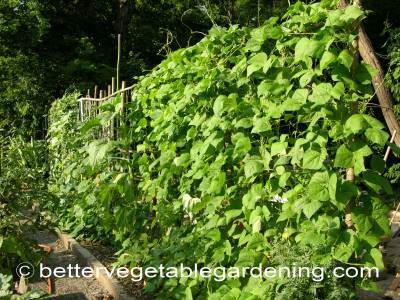 Climbing beans and pole beans require a trellis or some means of support. They grow, flower, and set fruit over the entire growing season. Bush Beans - The second growth type is determinate, and like tomatoes of the same type, plants of this determinate type bean will top off, or stop growing, at a specific height. They will bear a full crop over a shorter time than climbing or pole beans. Pinto beans - usually dried but can be harvested as green and green shelled. 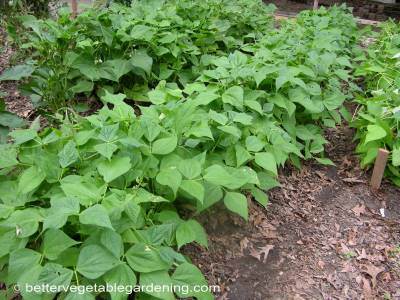 While there are many different types and varieties of beans that can be grown in the home vegetable garden, most have the same planting and growing conditions. Check out below for the pages to cover many of the different types of beans.